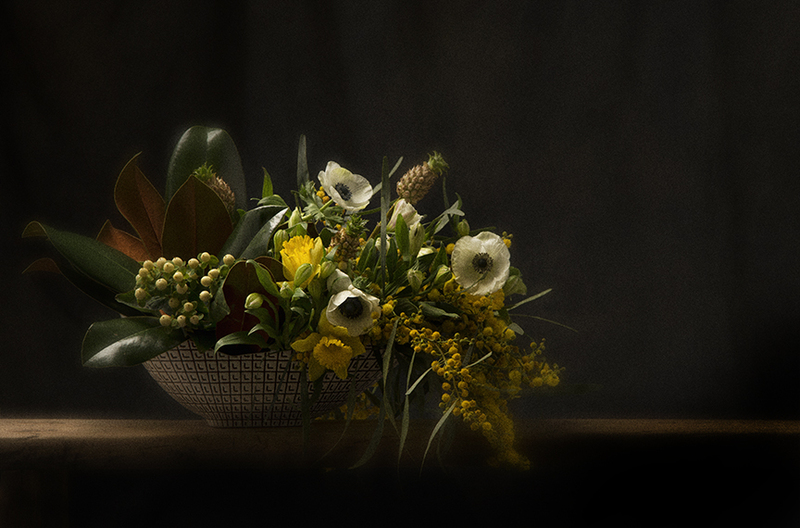 today in the studio, there was a "springtime" shoot taking place which included floral arrangements. once that shoot was complete, i asked if i could photograph the arrangements. once i was assured i could, i got to work. this is a series of tests. i've been working up a series in my head for a future shoot. i needed samples to put in place to see if i could get the atmosphere i'm looking for. soon, i will insert the actual still-life objects into the lighting of the last couple shots. i like the light and background of the first shot, but it's a bit less atmospheric than i want. i shot that with a profoto gridded magnum. the rest are shot with a small softbox of varying heights and angles with and sometimes without white bounces either in front or to the side. the images are not in order in this slide show as i wanted the 5th shot to appear as the first image.